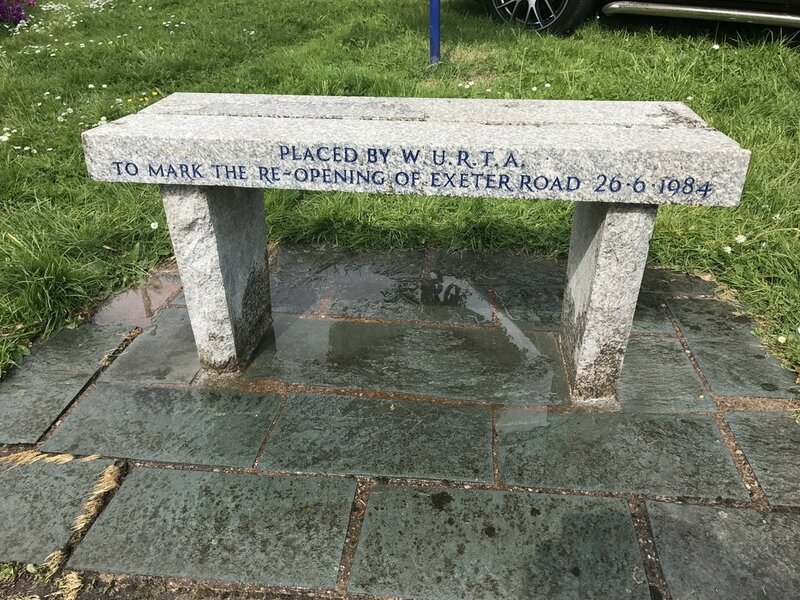 The Bench was originally placed along Exeter Road, in Exmouth to mark the reopening of the local road. 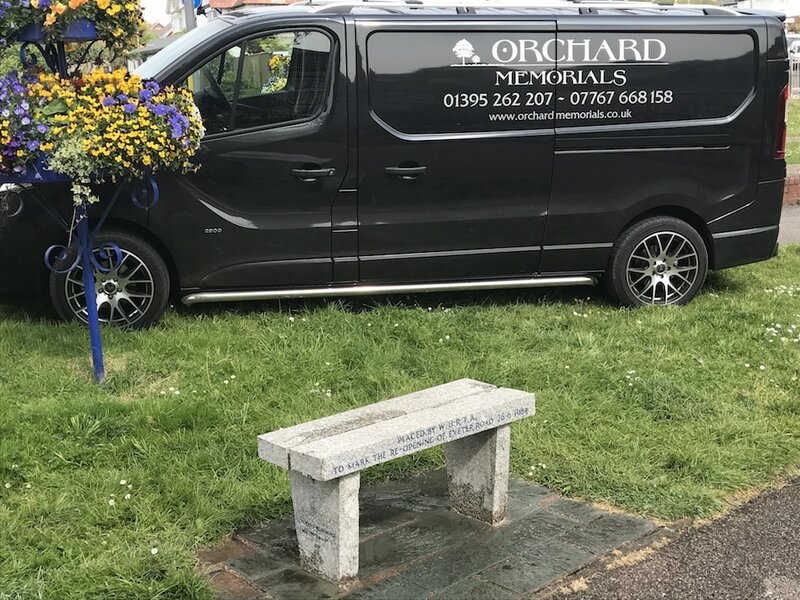 The Cornish granite bench was how ever recently reversed into by a lorry delivering flowers during the Britain in bloom event. 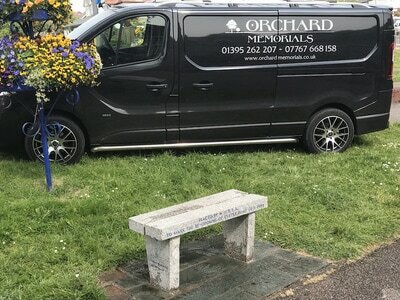 The accident caused both legs of the bench to be broken just above the footing thankfully only leaving a surface scuff on one of the seat beams. The scuff was worked off the granite with wet polishing tooling and then running over all the other smooth surfaces to clean off signs of weathering before repainting. We repainted the blue paint with 3 coats to with stand the weather better than the previous paint had. We are happy to listen and advise on any stone masonry work or projects you have.